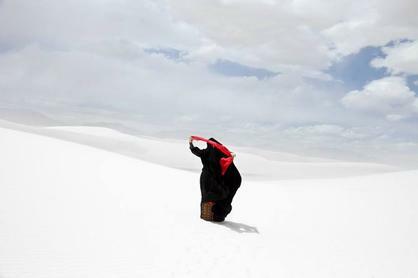 Sama Alshaibi is part of the Decolonizing Vision Speaker Series at the CSGS, New York University giving an artist talk on 10 October from 6-8 pm (EDT). The talk explores the intersections of contemporary migration crises through a selection of Alshaibi’s work. The lecture is informed by Alshaibi’s own biography and considers the impact of socio-political conditions on individuals under threat of the state or statelessness. These forces are contextualised when resources and land, mobility, political agency, and self-affirmation are compromised.